Because of some certain facts, the prices of both HTC One X and HTC One X+ have been reduced greatly in India. It is guessed that the reasons for this price reducing are; failing to gain enough popularity in the market, or the arrival of new HTC One which is way more advanced than these two models. At the time when HTC X was released, the least price was Rs. 32000 But now, you can own a HTC One X paying just Rs. 25990 It is a great discount. The HTC One X+ has gone through the same case. Its price has reduced from Rs 38550 to only Rs.29550. Though the prices of these two smartphones have reduced, it is not true that these smartphones contained bad features. In HTC One X, a 1.5 GHz quad-core processor of Nvidia Tegra 3 was present which is not bad at all. Along with this strong processor, it contained an Android 4.1 operating system. The other great features were present such as a 8 mp HD camera, a front camera of 1.3 MP, internal memory of 16 GB and a super LCD screen of 4.7 Inch. The following model of this smartphone which is known as HTC One X+ contained wonderful features as well. It was slightly better than HTC One X. It also contains a Quad Core processor, but of 1.7 GHz. Its battery is also better and of 2100 mAh. A greater internal memory of 64 GB has made this smartphone even better. 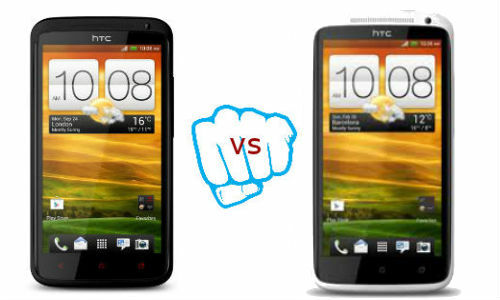 It is really a burning question indeed why HTC is forced to reduce the price of these two smartphones. Probably the main reason for this price reduce is, the competitor companies like Samsung, Sony, apple are provide better service in lower prices. For competing with these companies equally, there were no other ways but to decreasing the prices. It is expected that HTC will bring the latest model in a few weeks. This will also decrease the attraction of the older models. So, understandably the prices have decreased.